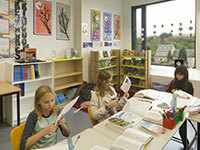 The Hamilius building is home to approximately 36 well-equipped classrooms. 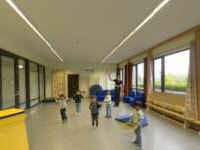 All of these include interactive whiteboards and a wide variety of innovative, age-appropriate learning materials. 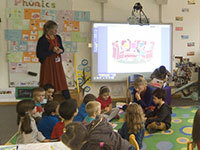 In addition, Primary teachers can utilise sound recording equipment, handheld digital microscopes, laptops and iPads. 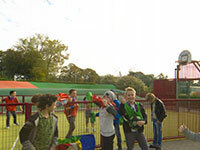 Perhaps the busiest location in the Hamilius building, Hamilius Hall serves as a space for student performances, the Primary Art Exhibition, St George's Day festivities, and Foundation stage Physical Education classes. 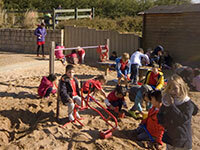 It is also used for a variety of after-school activities and is often utilised by outside groups. A practice kitchen gives even the youngest St George's students the opportunity to learn how to prepare healthy food and use kitchen tools. Students are very proud of their success with ambitious recipes and delicious results! 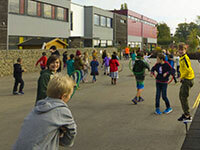 Learning at St George's is not limited to the classroom - outdoor areas offer students the opportunity to exercise, play, socialise, and continue their learning in an outdoor setting. 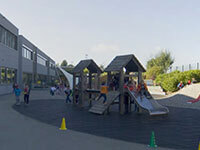 Students in Nursery and Reception benefit from Outdoor Learning in their curriculum, whilst older students can choose from several different playground structures and equipment. 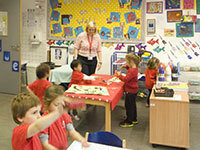 The Primary Art Room is used for both art classes and for Design Technology (DT) Days. 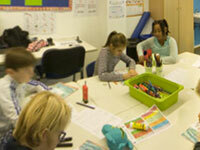 Students collaborate on challenging projects using a variety of innovative mediums and tools. Some of the work is showcased at the Art Exhibition and throughout the school. 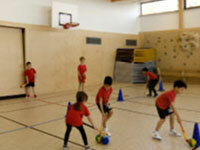 The multi-purpose gym can be adapted for many different types of physical activities including tumbling, climbing, and team games.